"My thoughts and prayers go out to Jeanine and Mike and all..."
Patricia A. Clark passed away in the arms of her children on March 26th, 2019 in Vancouver, WA. Born in Sycamore, IL on January 13th, 1934, she was the youngest of 9 children born to Edgar and Alice Wonser. By her teenage years, Patricia had lost both parents and moved to Grotto, WA to be cared for by an older sister, Marjorie Falkner. In Grotto she met, and soon married the boy next door, Arthur Philbrick. They made their first home in Skykomish, WA and had 3 children. She is survived by these children, Linda McClellan (and Gene) of Vancouver, Jeanine Viviano (and Mike) of Vancouver and Gary Philbrick of St. James City, FL. A job transfer moved the family to Concrete, WA where they lived and schooled their children, until Arthur died at a young age in the early 1960s. Patricia then moved her family to Mt. 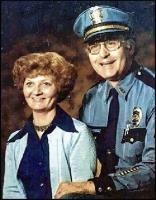 Vernon and eventually met and married MVPD Sargent Robert Clark. Together they enjoyed gardening, trips to Reno, LongAcres and Emerald Downs, fishing on the Skagit River and surrounding lakes, and their timeshare at Wapato Point on Lake Chelan, Manson, WA. Patricia enjoyed caring for her home and at one time had been an avid bowler. Playing on a team at Skagit Lanes, she scored a 600 series. Upon her retirement from Safeway, where she was employed as a meat wrapper, she and Robert retired to Vancouver, WA to be closer to their children. Patricia is survived by her 3 children, 4 grandchildren, Michelle Nurmi (Dennis), Ryan Nurmi (Stacy), Brooke Viviano (Joe) and Andrea Enyedy (Todd); 7 great-grandchildren; and numerous nieces and nephews. She was preceded in death by her husband, Robert; and a granddaughter, Chelan. A memorial will be held at Vancouver Funeral Chapel at 1p.m., Mon, April 8th, 2019. Encryption will be at Acacia Memorial Park, Lake Forest Park, WA at 2p.m., Tues, April 9th, 2019.